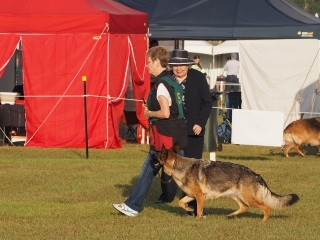 The team is one of the first display teams invited by the event organizers and the teams routine comprises both obedience and agility exercises that can last 20 to 30 minutes, depending on the number of members taking part in the display and is done with the accompaniment of background music and commentary. 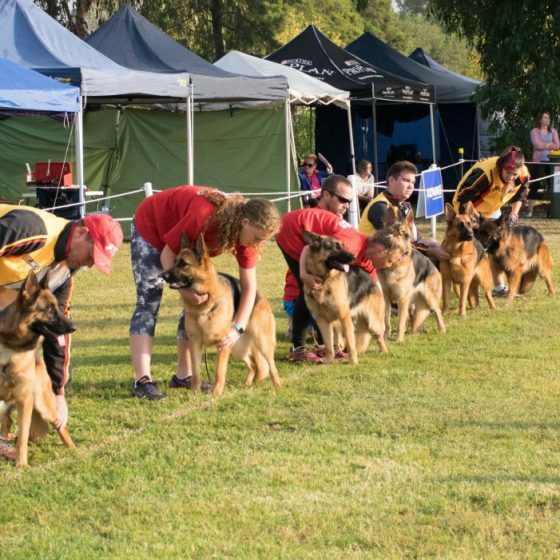 The team currently has fourteen members (three of whom are founding members) who train rain, hail or shine to perform at public venues with their dogs. 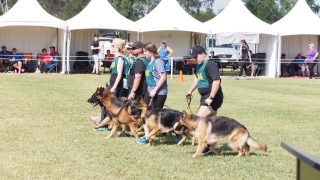 These members give freely of their time, training regularly outside of normal training schedules; many also double as Instructors within the Leagues branches, making it impossible for them to practice during normal training timetables. 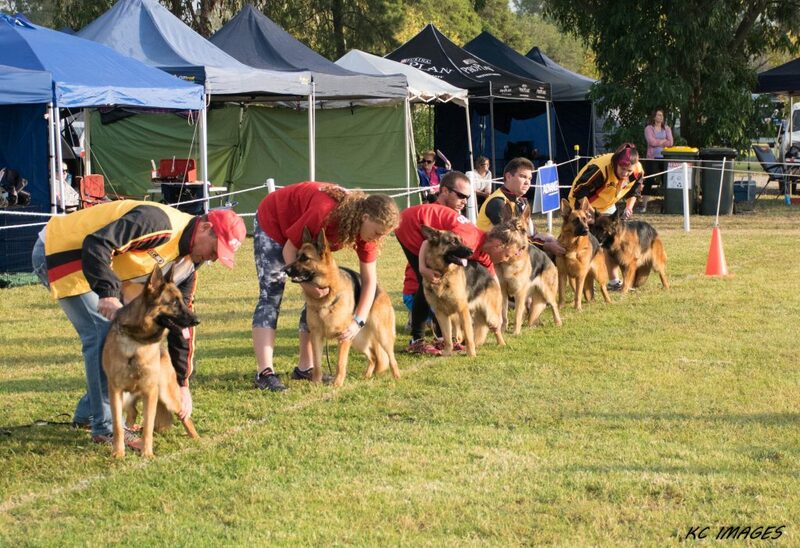 Aside from the handlers, the team comprises some excellent canine ambassadors: collectively the teams canine members hold two UD and seven CD titles with several of the dogs also graded Excellent in the conformation ring at G.S.D specialty shows. 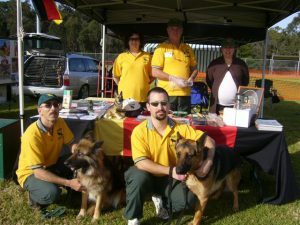 When on duty at the various exhibitions, it is not uncommon for the dogs to be poked, prodded and patted, often having children launch themselves from behind in order to touch the dogs. 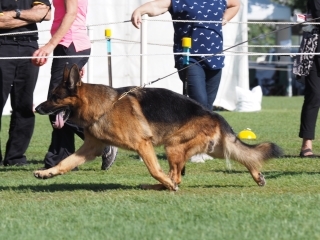 Throughout these events the dogs perform with the generosity and stability that we have come to expect from our German Shepherds. 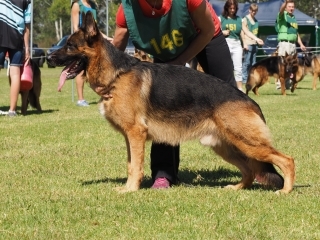 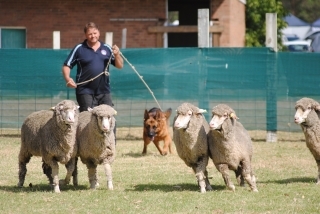 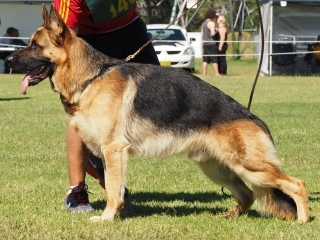 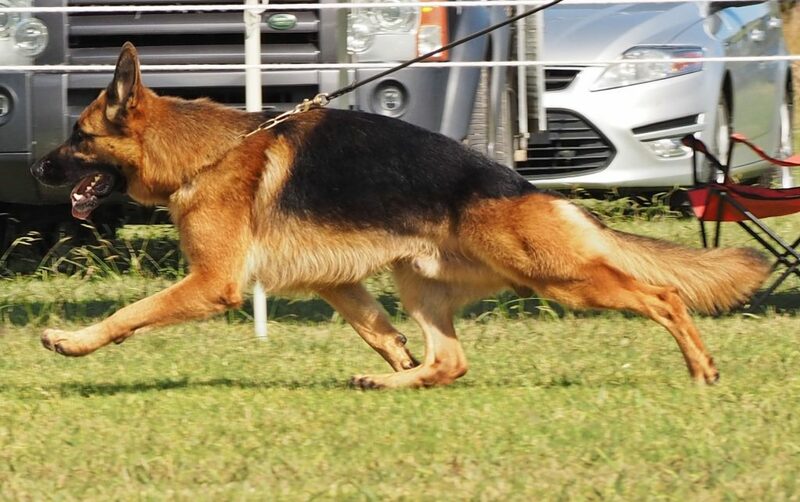 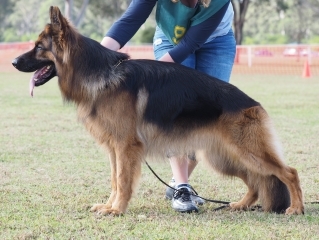 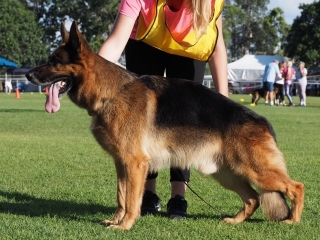 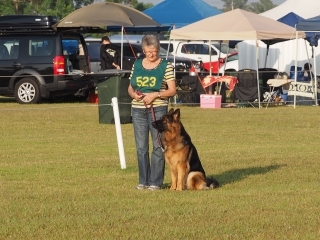 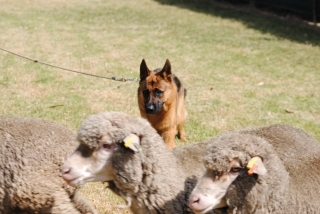 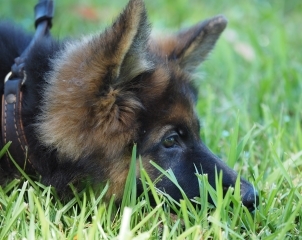 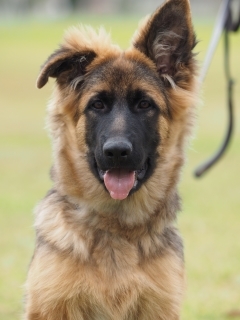 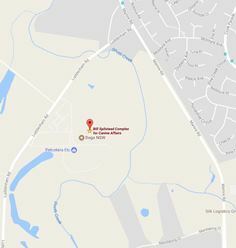 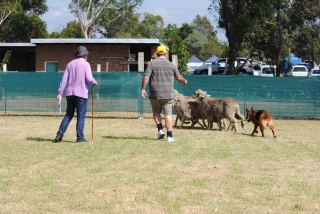 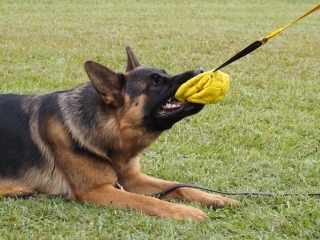 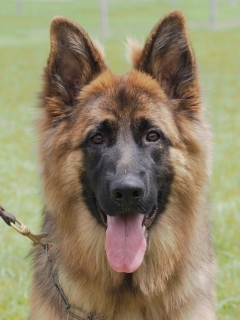 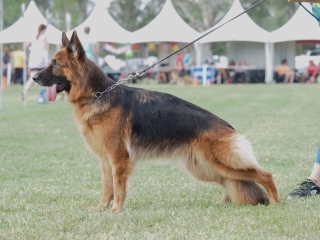 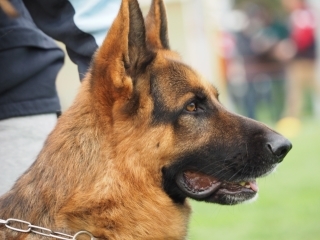 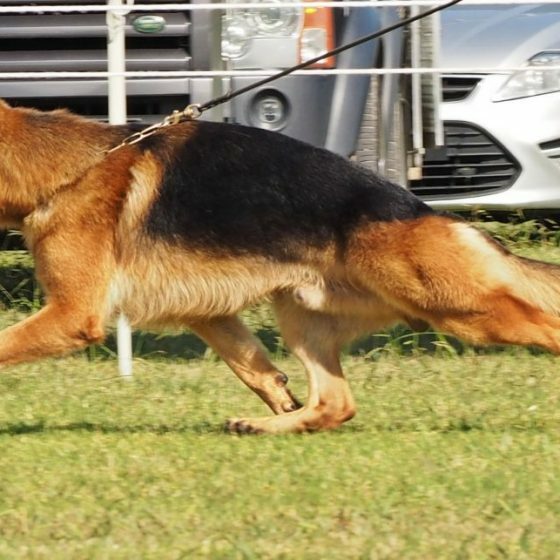 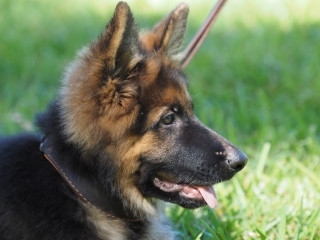 The NSW German Shepherd Dog League of NSW Inc obedience display team was formed in October 2000 to appear at the Pet Expo at Rosehill Racecourse and then had a total of sixteen members.